Is The New York Times’ New Strategy for Online Video Working? Not too long ago, print newspapers were declared dead in the water. The recession was brutal to businesses built on paper subscriptions, and many industry players were consolidated or shuttered as readership dropped and their ad revenue model unraveled. The New York Times is one of the few that emerged with a better online business model for content delivery, subscription revenue, and support for advertising. Their next move? Ensuring their massive investment in online video pays off. In April of this year, the Times launched a major new video hub, essentially doubling down on the amount of video content on their site. 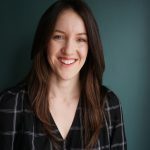 They had to hire against this new initiative, increasing staff to as many as 65 people just for in-house video, and they also work with outside production houses. The volume of video published every day on its website has nearly doubled, going from 270 videos in March 2013, to 430 in March 2014. The demand for fresh, quality content is high, and the Times is responding as nimbly as it can. Partly to solve for that potential issue, the New York Times doesn’t just publish to its video hub, which is still new, and for some of their potential audience, likely undiscovered. When they first launched it, the Times actually split and shared content on Vimeo and on their main site to help ensure word spread about their new video hub. Initially intended as a 14 day trial, they have actually expanded their syndication efforts to other platforms. New York Times Video now has a YouTube channel, its own Twitter handle, and a much broader audience than they would have were they solely posting on their site. The Times has their fancy new video discovery engine, but the elephant in the room is whether or not it’s succeeding. There is a lot working in their favor – the Times already has great name recognition, heavy website traffic, excellent content creators, and a sizable budget for video production. Still, a new video hub is not necessarily going to attract an audience immediately, especially since many of their video series are brand new and unproven, and some are designed specifically as advertising or branded content. Related to their ability to attract an audience, the Times’ ability to sign new advertising contracts is critical to the success of this major video initiative, since online ad revenues have to offset their spiraling print ad revenues. Acura and Microsoft were two of the first to bite, but the Times ran into problems with delivery, even offering to shift some of the ad spend to other formats (the offer was declined). The issue at hand is volume. The Times has the budget, the staff, and the resources to produce plenty of video content, but the demand from both viewers and advertisers is extremely high. Keeping up with it is a challenge for any company. The demand from viewers lends itself to a lot of static that is hard to rise above. The amount of video produced and uploaded to YouTube everyday keeps rising, and new players are entering the content discovery space on a regular basis. Competing for attention has never been more difficult. Meanwhile, competing for advertiser dollars has likely never been easier. Spending on video ads keeps going up – especially for premium content producers like the Times. However, the difficulty entailed in delivering enough quality content to satisfy demand means dollars are being left on the table. 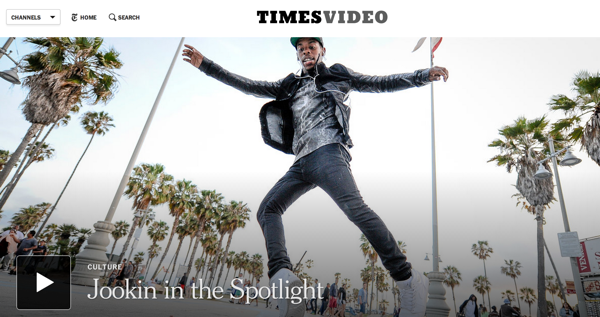 The Times’ video hub looks amazing and their videos are captivating. The audience might not be there quite yet, though their success with syndication indicates it is growing rapidly. As they ramp up their video production, they will be able to increasingly capitalize on the strong demand for premium video ad placements. The main regret for the Times might be not making this move a year or more earlier than they did – just like the WWE. Don’t let that happen to your company – check out our top tips for getting started with video. Which companies do you think are using video in interesting and inspiring ways? Let us know in the comments below or share with us on Twitter.